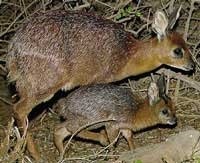 Endemic to South Africa , the Cape grysbok is recorded only from southern and south-western Cape Province (East, 1989, 1996; Wilson & Reeder, 1993). 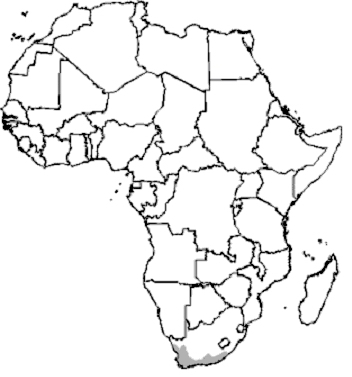 Its distribution map was obtained from Skinner & Smithers (1990) and revised by Dr. R. East ( 23 June '97 ). This species is almost entirely restricted to fynbos, inhabiting thick bushes and shrublands. It also occurs in orchards and vineyards areas (Tinley, 1969; Stuart & Stuart, 1997; Mills & Hes, 1997).